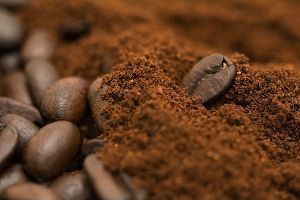 The art and science of roasting, grinding, blending and packaging the world’s favourite drink depends in no small part on choosing an optimal materials handling system. Moving this fragile product safely and swiftly through a range of complex processes is a key component in cost and energy effective production. Coffee consumption in importing countries like Australia has grown by over 100% per year since 2011. In 2015/16 144.8 million 60 kg bags of green beans were processed to meet the demands an exploding global coffee culture. As a high-grade food conveying system, coffee conveying has evolved. Change has been driven by increased consumer demand for more diverse and sophisticated products, tighter global standards for safety and cleanliness and advances in automated, cost efficient technologies. Traditional cumbersome, energy hungry auger, bucket and vacuum systems no longer represent optimal solutions for this industry. Coffee is challenging in any of its various forms. Roasted beans are fragile, easily broken and slightly abrasive. Powders are hygroscopic and dusty and blends are prone to separation. Damaged beans or cross-contaminated blended or flavoured coffee mixes impact product quality with costly reputational and financial results. As a high-grade food product, coffee must be protected from contamination and damage. Enclosed systems, with low air volumes counter coffee’s hygroscopic characteristics and transport it gently, protecting product integrity on every level. Frequent blend changes to accommodate differing product ranges calls for total batch transfer and simple efficient cleaning regimes. Integrated processing that begins with decanting raw beans and ends with product packaging needs an agile, flexible conveying solution that adapts to tight spaces and acute angles. In addition, coffee companies are seeking the same energy and process efficiencies and flawless safety records as other global food producers. How Floveyor is reshaping bulk coffee handling……… Combine classic aero-mechanical capabilities with low investment and operational costs and these fully Ex compliant conveyors are providing ultimate production peace of mind for coffee companies everywhere. Cleaning up on cost effectiveness and safety……….. Hygienic Floveyors are a risk blitzing solution for efficient, hazard free movement, especially for complex powdered blends containing sugar and milk solids. Blended coffee mixes stay intact due to gentle fluidising aero-mechanical conveying technology. Hygienic Floveyors require minimal maintenance……….. We’ve designed key components for rapid disassembly and built others in, including clean in place (CIP) options, and clean out of place (COP) modularity and maneuverability. Our revolutionary electronic rope tensioning system makes maintenance effortless, by completing this essential task in seconds. Matchless speed and versatility with beans……….. Industrial Floveyors are a robust, high performing option for green and roasted beans. Green beans can be delivered effortlessly and with minimum noise via sound dampening lagged tubes. Roasted beans are delivered undamaged, as a total batch. No minimum throughput means even small coffee runs are conveyed without excessive residue. In short, Floveyor’s design ingenuity slashes maintenance and cleaning downtime and optimises product and operator safety. Added to this, our fully enclosed, high velocity aero-mechanical conveying system delivers peerlessly fast throughputs and one of the lowest energy bills in the business. In a rampant global coffee processing industry, Floveyor‘s stand out versatility and technical edge works equally well for bulk producers and artisan roasters like Crema.co personalized coffee subscription service.